Hi guys, I am selling a $6.000 package to The Caribbean Poker Party at the Hard Rock Hotel & Casino, Dominican Republic from November 19th to 26th. I wrote down more informations you could find useful mainly received by email. I am selling the package for $5.250. Package includes - $1.000 will be paid into your partypoker account for you to book your own flight - $2.750 tournament buy-in for the partypoker Million tournament (2M GTD) - All-inclusive accommodation for 1 adult, food and beverages at the Hard Rock Hotel Accommodation We have booked you a Caribbean Suite in the Hard Rock Hotel and Casino, these rooms are extremely spacious and plenty of room for 2 adults and 2 children (costs involved for additional guests). Twin or double rooms available. To add an extra adult guest: it will be $115 per night. Several discounts apply for childrens. Flights Package includes cash to arrange your own flight, but there is also a possibility to go by a private partypoker plane from UK if you interested. If you would like to book a flight on this plane, we will have to contact a partypoker support. There are limited seats in a plane, one flight ticket $1.100 (you can find cheaper flight ticket on your own). Main tournament schedule - $2.750 The partypoker Million Tournament, $2 million Guarantee - $5.000 The WPT Caribbean, $1 million Guarantee - $25.000 WPT High Roller - For side events and satellites click here for full schedule GREAT DEAL to buy-in into The WPT Caribbean $5.000 I have two packages to sell and there is also a possibility to change a $6.000 package for buy-in into a $5.000 The WPT Caribbean, $1 million Guarantee event. 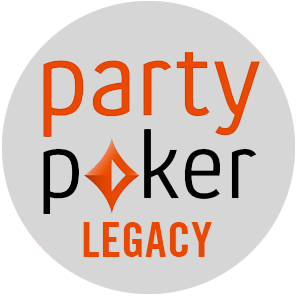 Additional $1.000 will be added to your party poker account - you can easily play the $5k event for $4.250 (discount $750). Payment information You will get an official confirmation from partypoker stuff before you make a payment. I prefer a PokerStars, PartyPoker, 888 or Neteller transfer. I can also accept payment in cash during WPT Montreal by these currencies: CAD, USD, EUR and AUD. Exchange rates according to xe.com. You need to have an active partypoker account in order to buy a package. If you live in US or other restricted country, you can still buy a package and money for travel will be send to your bank account. Final price for one package: $5.250 (I prefer to sell both at once for $10.500) Get in touch with me here on P5s if interested.